One key to Soilbuild's success lies in the vertical integration of its property development, construction and real estate investment management units. It reaps significant synergies by leveraging off each division's expertise and sharing common resources, which has helped it to create a top-notch portfolio of properties designed to satisfy client needs at every level. By segmenting our services into distinct product categories, we are able to identify, differentiate and cater directly to the real estate needs of our clients, however diverse. 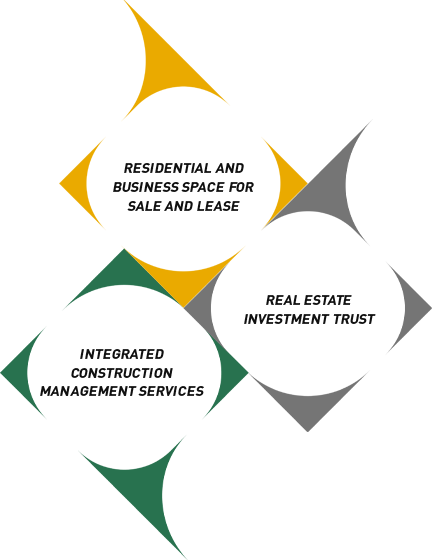 These four segments form the centrepiece of Soilbuild's business portfolio. Soilbuild Group Holdings Ltd is a leading integrated property group with a successful track record of developing an award-winning portfolio of residential and business space properties. With over 40 years of experience, Soilbuild has completed a multitude of purpose-built business spaces occupied by MNCs and SMEs in various sectors. It has collaborated closely with JTC Corporation under the Developer Partnerships Programme and leveraged its expertise in “design, build and lease/sell” schemes to be one of the leading private developers of quality business space. Various well-received business space projects developed for sale include North Spring Bizhub, Woodlands Bizhub, North Point Bizhub, West Point Bizhub, Tuas Lot, Pioneer Lot and Solstice Business Center. 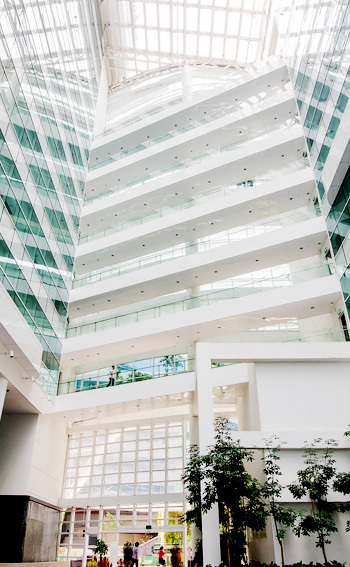 Soilbuild also manages close to 4 million square feet of business space for lease, catering to the diverse space requirements of industrialists and businesses. The Group’s business space portfolio includes flagship business park developments in Solaris and Eightrium @ Changi Business Park; ramp up developments at West Park BizCentral, land based factories at Tuas Connection and Kranji Linc as well as centrally located flatted business space developments in Tai Seng and B-Central in Bendemeer Road. The Group has developed a range of residential properties from high-end luxury condominums to townhouses and conservation terraces including Villa Martia, Mutiara Crest, Mandale Heights, Mill-Point, Grosvenor View, Pinnacle 16, Cliften, One-Tree-Hill Residence, Espa, The Centrio, Leonie Parc View , Fernhill Cottage, Heritage 9 and Meier Suites. Our award winning developments, The Mezzo and Montebleu, have demonstrated the Group’s focus on providing superior quality homes. Soilbuild Construction Group Ltd. (“Soilbuild Construction”) is a leading builder with a long and successful track record of constructing a sterling award-winning portfolio of residential and business space properties. 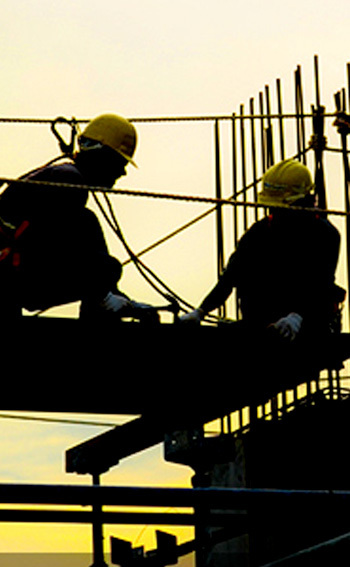 Since its inception in 1976, Soilbuild charts more than 41 years of success in offering a full spectrum of real estate services which includes Construction, Civil Engineering, Design and Build, Turnkey Construction, Project Management Consultancy, Procurement and Mechanical & Electrical Installation. We have handled a wide range of projects, from residential buildings to conservation houses, schools, churches, industrial building and business parks. Projects in which our subsidiary, Soil-Build (Pte.) Ltd., acted as the main contractor, have won several architectural and environmental awards over the years. As at 31st December 2016, our order books based on letters of intent, secured contracts and variation orders amounted to approximately S$385.7 million. Our on-going projects in Singapore include, amongst others, five public housing projects with HDB in Bukit Batok, Ang Mo Kio, Yishun, Sembawang and Tampines/Paya Lebar Way, two civil projects with LTA, a mulitple-user general industrial development at Jalan Lam Huat, a commercial development at Jalan Besar, a residential flat development at Balmoral Road and more. In Myanmar, our on-going projects include a residential development project, a condominium/serviced apartment development project and an addition & alteration works of a shopping centre. Soilbuild Business Space REIT is a Singapore real estate investment trust established with the principal investment strategy of investing on a long-term basis, directly or indirectly, in a portfolio of income-producing real estate used primarily for business space purposes in Singapore as well as real estate-related assets. 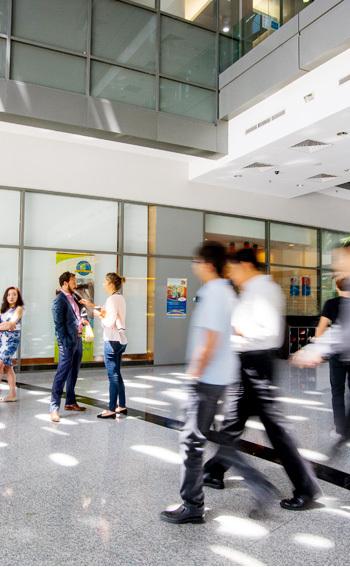 Soilbuild REIT was listed on the Mainboard of Singapore Exchange Securities Trading Limited on 16 August 2013. Soilbuild REIT’s portfolio comprises 12 business space properties – two business park properties and 10 industrial properties. They are strategically located across industrial clusters in Singapore with a total NLA of approximately 3.93 million sq ft and a valuation of S$1.24 billion as at 31 December 2016. Soilbuild REIT is managed by an external manager, SB REIT Management Pte. Ltd., which is a wholly-owned subsidiary of Soilbuild Group Holdings Ltd., a leading integrated property group based in Singapore.